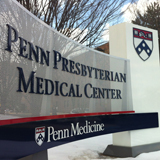 Dr. Aleman is employed by Penn Medicine. Dr. Aleman has extensive expertise in the study of hereditary retinal degenerations. He is part of the Retinal Degeneration Center at Scheie Eye Institute and the CAROT center of the Department of Ophthalmology of the University of Pennsylvania. His research expertise includes state-of-the-art psychophysical, electrophysiological and imaging studies in patients and animal models of the human disease. Most of the studies in which Dr. Aleman is an investigator are aimed to lead patients with these incurable retinal degenerations into clinical trials as well as in the detailed characterization of patients, both children and adults, with these conditions. 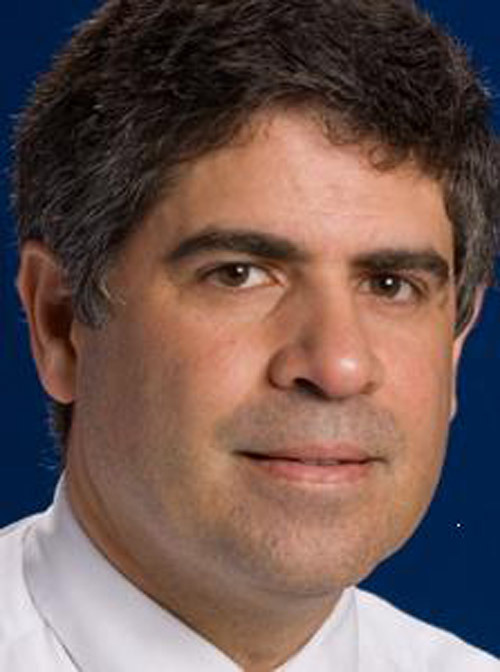 Dr. Aleman is a co-principal investigator in an ongoing gene therapy trial for choroideremia. Matsui R, McGuigan III DB, Gruzensky ML, Aleman TS, Schwartz SB, Sumaroka A, Koenekoop RK, Cideciyan AV, Jacobson SG: SPATA7: Evolving phenotype from cone-rod dystrophy to retinitis pigmentosa. Ophthalmic genetics 37 (3): 333-8,2016. Fuerst NM, Serrano L, Han G, Morgan JIW, Maguire AMM, Leroy BP, Kim BJ, Aleman TS. 2016; 30:1-8.: Detailed functional and structural phenotype of Bietti crystalline dystrophy associated with mutations in CYP4V2 complicated by choroidal neovascularization. Ophthalmic Genetics 30 (4): 1-8,2016. Bonafede L Ficicioglu CH, Serrano L, Han G, Morgan JIW, Mills MD, Forbes BJ, Davidson SL, Binenbaum G, Kaplan PB, Nichols CW, Verloo P, Leroy BP, Maguire AM, Aleman TS. : Cobalamin C deficiency shows a Rapidly Progressing Maculopathy with severe photoreceptor and ganglion cell loss. Invest Ophthalmol Vis Sci. 56 (13): 7875-87,2015. Swanson J, Xu W, Aleman TS, Mitchell B, Wes A, Chen SS, Bender L, Heuer G, Katowitz W, Bartlett S, Taylor J.: Optical coherence tomography can detect intracranial hypertension in young children with craniosynostosis. Plast Reconstr Surg. 136 ((4 Suppl)): 39,2015. Brodie FL, Charlson ES, Aleman TS, Salvo RT, Lau MK, Farren ND, Engelhard SB, Pistilli M, Brucker AJ. : Obstructive sleep apnea and central serous chorioretinopathy. Retina 35 (2): 238-43,2015. Aleman TS, Huang J, Garrity ST, Carter SB, Aleman WD, Ying G, Tamhankar MA. : Relationship between optic nerve appearance and retinal nerve fiber thickness as explored with spectral domain optical coherence tomography. Trans Vis Sci Tech 3 (6): 4,2014. Aleman TS, Brodie F, Garvin C, Gewaily DY, Ficicioglu CH, Mills MD, Forbes BJ, Maguire AM, Davidson SL: Retinal structure in cobalamin C disease: mechanistic and therapeutic implications. Ophthalmic Genetics : 2014. Aleman TS, Garrity ST, Brucker AJ. : Retinal structure in vitamin A deficiency as explored with multimodal imaging. Doc. Ophthalmol. 127 (3): 239-43,2013. Moran AM, Aleman TS, Gausas RE, Fogt F.: Traumatic arteriovenous fistula of the superficial temporal artery: a histopathologic report Ophthal Plast Reconstr Surg. 29 (5): 126-8,2013. Jacobson SG, Cideciyan AV, Ratnakaram R, Heon E, Schwartz SB, Roman AJ, Peden MC, Aleman TS, Boye SL, Sumaroka A, Conlon TJ, Calcedo R, Pang JJ, Erger KE, Olivares MB, Mullins CL, Swider M, Kaushal S, Feuer WJ, Iannaccone A, Fishman GA, Stone EM, Byrne BJ, Hauswirth WW. : Gene therapy for Leber congenital amaurosis caused by RPE65 mutations: safety and efficacy in 15 children and adults followed up to 3 years Arch Ophthalmol. 130 (1): 9-24,2012 .